The Gnu Space Case Asym C2X Snowboard is back for more menacing fun. Designed by Forest Bailey to fulfill his progressive all-mountain freestyle vision, the Space Case features an asymmetrical sidecut that makes toeside turns effortless while the new aggressive C2 contours provide the control and stability needed to shred some of the most technically challenging lines. Designed to tackle it all with a creative freestyle flair, the Gnu Space Case Asym C2X Snowboard proves that snowboard design is anything but stagnant. 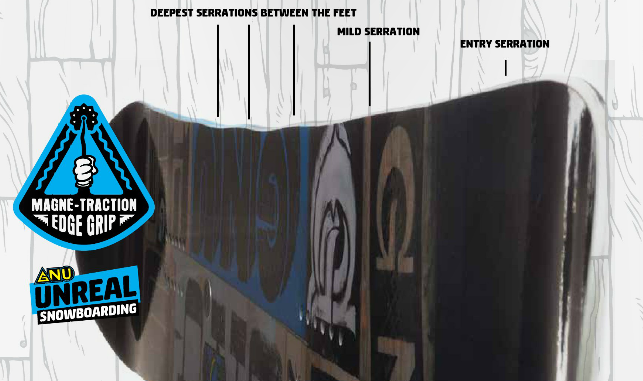 Asym Scale: Level 2 – Asymmetric wood core allows for softer flexing on the heelside. There is also a deeper sidecut on the heelside and asymmetric contact angles and length. Shorter heelside contact. Aspen / Columbian Gold / Paulownia Alloy – Balanced, lighter, sustainable, FSC-certified, strong and poppy. Sintered Knife Cut – Easy, tough and holds wax.